Same great features as an Original Fort Hangout only bigger!! The Original Fort can be compared to other play sets costing hundreds more. From the large deck area to the swingier swings, this wooden swing set has it all and is the definition of true quality at an affordable price! 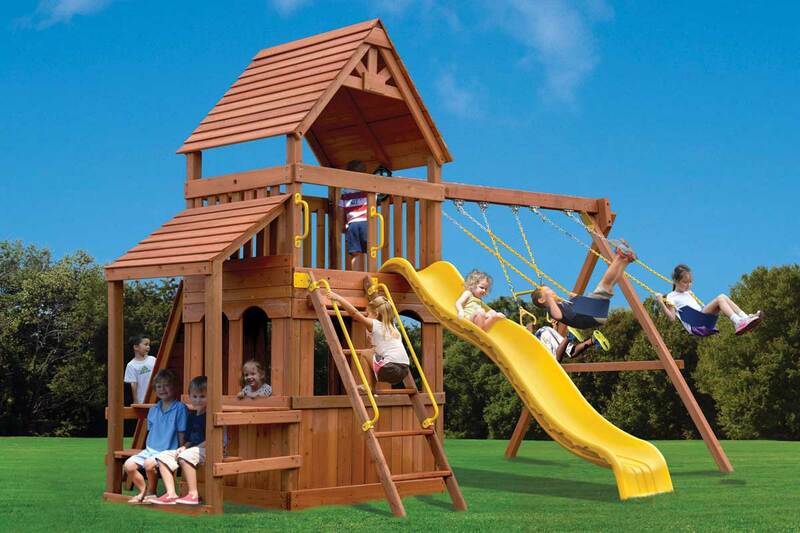 This playset can be reconfigured to accommodate smaller, more compact yards. *With approved credit, $500 minimum purchase, deposit required. Ask for details.